XRF scan indicates around 90% silver...was a bit tricky getting the reading when the coin is encapsulated! Have asked for an xrf scan of the coin in the capsule. Most of the medals struck around 1936/7 of Edward VIII kept with the nostalgic theme of the era. Each Minter however, gave variety to the design in their own way. Some medals struck then are not listed in any of the known catalogs (BHM / Portraits of a Prince) which makes collecting Edward VIII medals/ tokens/ coinage all that more exciting. Hi Guest. I can say that there was a mintage of a thousand of the silver made by Pinches and Co actually in 1937. The medal is 35mm in size. Information obtained from the Portraits of a Prince, J. Giordano. Some previous sales was with Stack's lot 2026 and Baldwins lot 747, Sept 2008. 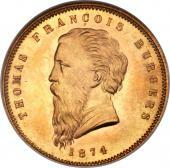 Furthermore Pinches also made gold (100 pieces) at 22ct, bronze (3000 pieces). I have not xrf'd the silver piece but I could comment and say it appears less than 9.25...probably about 80% silver. I will get back with an actual silver content soon. South Africa Mint issued QE II 1995 commemorative set – the Gold Sovereign, Silver & a Nickel crown did not receive NGC grading as NGC claim ‘no COA’ yet legal tender by SA Mint! Hi Just Bob I was fortunate to obtain a original set (comes in a red holder with several other mint state coins) from a fellow Numismatist which I am very grateful of also paying a fair market price for the coin set. Second that was submitted for Restoration came back graded MS63. Nice and I expected MS62 so also a bit of a win there. NGC have done a good job in reviewing the submitted information and coming to the correct verdict of been eligible for grading. Yippee! Coins now recognized and graded as such! Thank you NGC Graders for the review and accepting the submitted documentation proof.